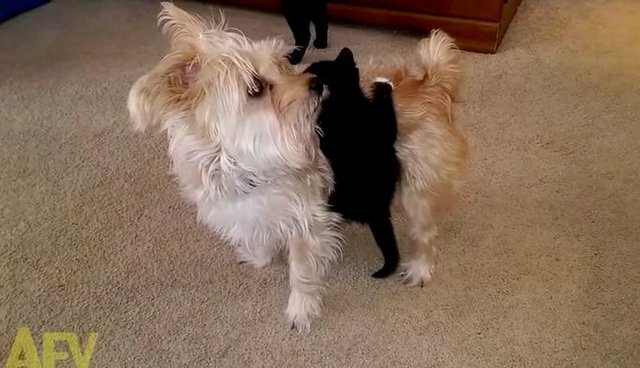 For some reason, this tiny black kitten has decided that she's going to hang on to her dog NO MATTER WHAT. 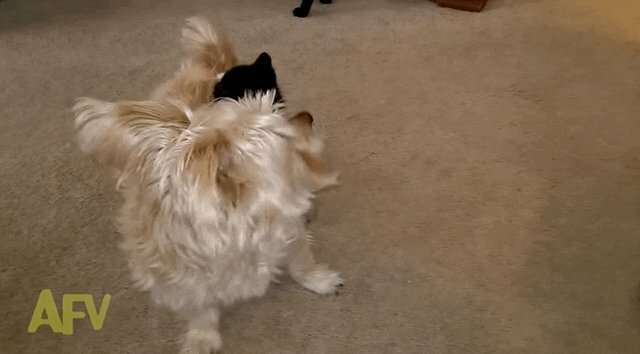 Seriously, she won't let go. Even when her dog is like, "What!? Who's on me?! 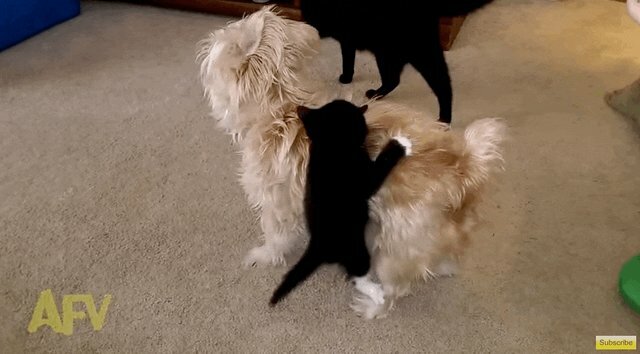 Get off!" - she just hangs on for the wild ride. 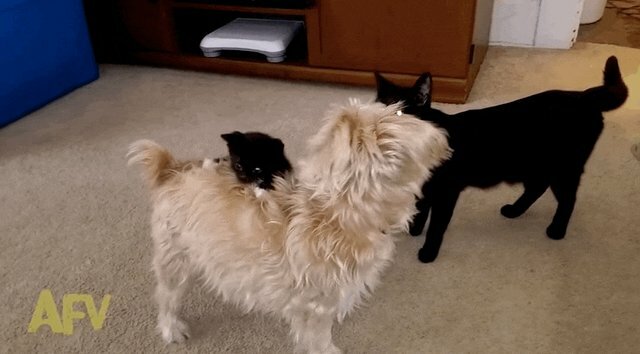 Maybe this is some kind of kitten sport? Or maybe she's trying to hitch her way into the kitchen. This is the start of a beautiful friendship ... probably. Maybe.